This must be up for discussion at the next town council meting in 3 weeks, no doubt feelers have been put out by those aspiring to have his/her holiness in front of their name. That would be for the 4th time Keith which seems a bit harsh on people like Gordan Cowan, Pam Brivio and Chris Precious that have only had one bash at it or you, Roger Walkden and Graham Wanstall who have never worn the bling. 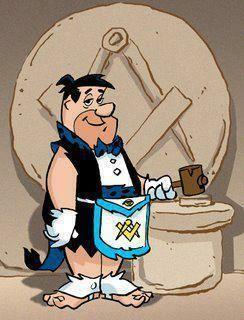 Plus not enough fellow lodge members to back Roger. Let's not a have a mayor for a year. See if it makes any difference in the town. might save milege and petrol bill on the rent a car. I keep a close eye on the finances of DTC and mayoral costs are miniscule compared to the money frittered away, so keep a mayor and ditch the town council. I would suggest ditching the town (i.e. parish) council and make the DDC chairperson ex-officio Mayor of Dover. The functions currently undertaken by DTC can easily be performed by DDC. At least £250k a year savings there, plus a more profitable use can be found for Maison Dieu House. The full Town Council meeting tomorrow makes no mention of choosing the next Mayor on the agenda but the next meeting in May includes the Mayor making, does this mean the next Mayor has already been chosen? AOB on Agenda for Pharos No.6967, next meeting 20 April. Snar Gate No.6770 and Dover Castle 7202 have already voted. .............. and here's a video of last year's selection procedure.